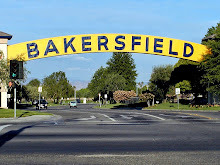 * ... HOME SWEET HOME: A beautiful tribute to Bakersfield showed up on the online forum Zocalo Public Square, written by Bakersfield High graduate Paige Hill, who now lives and works in Washington, D.C. A graduate of the University of North Carolina and the daughter of Bart and Napier Hill, Paige penned a moving valentine to our sometimes quirky and always endearing community. In her words: "The fog is something I can try to describe in a series of corny colloquialisms, but I ultimately fail to capture it. 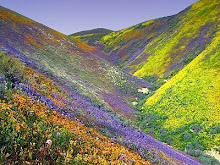 Bakersfield is like that, too. It's a city where in the same breath its residents will knowingly laugh and admit it is no cultural rival of San Francisco - and then fiercely defend it for what it is. It is ours." * ... SMOKE POLICE: Call me cranky, but was anyone else appalled at the story in Sunday's Californian about people from the San Joaquin Valley Air Pollution Control District driving around town looking for people using their fireplaces on no burn days? Say what? California is broke, the educational system is in crisis, Sacramento is a dysfunctional mess and yet somehow we can still afford to have people on the public payroll driving around town looking for people enjoying a warming fire. Sheesh. * ... CAL STATE: The California state university system just seems to suffer blow after the blow, the latest coming last week when Gov. Jerry Brown announced it would absorb another $100 million in cuts. And that's on top of the $650 million in cuts the system lost earlier. CSUB President Horace Mitchell will join me Monday at 9 a.m. on KERN 1180 to talk about the effect on our local campus, and what we can expect in the future. Tune it to learn how all this mess will affect our Cal State Bakersfield. 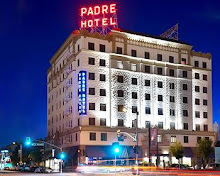 * ... PADRE: Robert Bunker has returned to Bakersfield to become one of the general managers of the Padre Hotel downtown. Bunker worked at Seven Oaks Country Club as assistant clubhouse manager, left a few years ago and was recruited to return to our community to help run the Padre. He joins Jon Stephens who is the hotel's general manager for food and beverage service. * ... HICKORY FARMS: Bev Hayden wrote that she also remembers the Hickory Farms Store in the Valley Plaza. "In the 1970s my husband Rod and his friend and partner George Thornburgh were constructing pre-fab housing on the tiny Pacific island of Nauru. The native food wasn't exactly what they were used to so we would buy beef stick and crackers from Hickory Farms and ship it to them in cargo containers along with adult beverages. These packages were gratefully received." * ... FIELD OF DREAMS: Here's a fund raiser that is worthy of your attention: it's the League of Dreams gala that will raise money to to build playing fields for physically and emotionally challenged children. It's all part of physical therapist Tim Terrio's Field of Dreams project to give these youngsters the same opportunities as others. The event is set for Friday, January 20, at Monsignor Leddy Hall at Garces Memorial High School. Tickets are $125 per person or $200 a couple. Contact Nathan Gutierrez at (661) 377-1700. Warming fire? Polluting fires that spew particulates into the air and do damage to our lungs. Plus, fireplace fires do little to actually warm a house. Fires are a way of "littering" our skies and our lungs with health-damaging pollution. So yes, it's good that public employees are stopping people who burn on no-burn days. What's a law without teeth? For an athlete who has to breath that dirty air and one who who rails about littering, it would not be a big leap to use this bully pulpit to discourage those who litter our air. Well said! The biggest thing we can do to clean our winter skies is less use of fireplaces. That's what happened in Denver! We haven't had a fire in our fireplace in at least 15 years. Would tear out the fireplace if it weren't such a monstrous/expensive project. We live in a valley that traps fog and smoke; why would we want to add to the asthma and other lung problems of our fellow citizens, especially children, and create ugly brown skies for the minor pleasure of a winter fire? 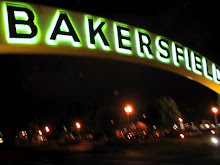 Let's make Bakersfield a better place. Quit burning. And maybe -- horrors! -- require that new homes do not include fireplaces. Imagine what progress might be made against winter air pollution!